Doing my research on Transformative Education for a Sustainable Society I always thought about visiting Japan not only because the Global Action Plan on ESD (Education for Sustainable Development) was launched during the UNESCO World Conference in Aichi-Nagoya in 2014 but also because during the decade for ESD (2005-2014), which was initially proposed by the government of Japan to UNESCO, I was a classroom teacher actively engaged in Environmental Education Projects with my students in Greece. When I saw the opportunity for the Global Fellows Programme themed “Innovation to Eradicate Poverty” advertised by the Imperial College Graduate School in collaboration with Tokyo Institute of Technology I was intrigued to apply. I think that Poverty Eradication, currently Sustainable Development Goal (SDG) #1 in the United Nations’ agenda, is a global challenge clearly linked with how the society, the economy and the environment function and in order to arrive to a thorough solution education is the key. 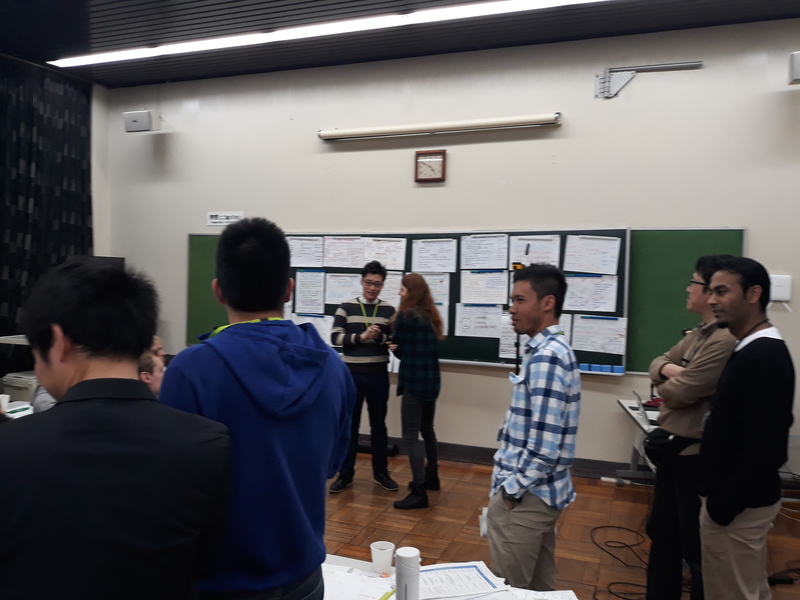 The better part of this Programme was that we could also apply for a research visit to a Tokyo Tech lab, provided a Professor had agreed to act as a supervisor during out stay. So after searching on the University’s website for Faculty with interest in Sustainable Development, I came across Professor Abe’s website. What caught my attention to this particular group was the very detailed webpage research-wise and the fact that they are interested in people-centred Sustainability. Also the diverse research interests of the lab members and their motivation to be part of this group played a major role in my selection. Professor Abe kindly agreed to act as my host supervisor and also provided valuable information and connections to ESD organisations in Japan well before my trip had started. Japan provides a unique cultural experience for the visitor, especially for those visiting for the first time. The kindness of people, the metro and railway services advanced technology, the amazing variety of fresh food, the cleanness and tidiness of every street, the attention to the finest detail, the responsibility and care people show in every task and the high aesthetic standards of gardens, parks and public spaces are truly mesmerising. 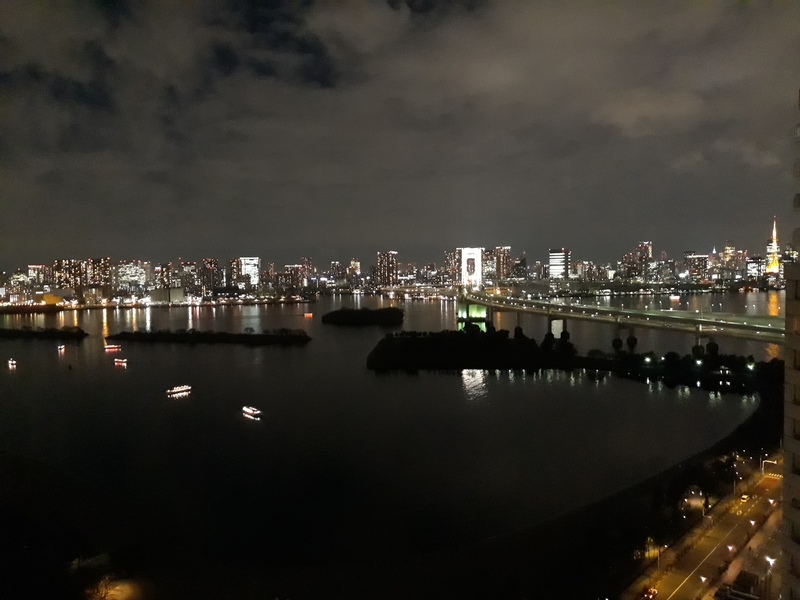 Thus, from the time I arrived in Tokyo I thought I should not waste a single moment and embrace the city by becoming immersed in the true spirit of Japan. 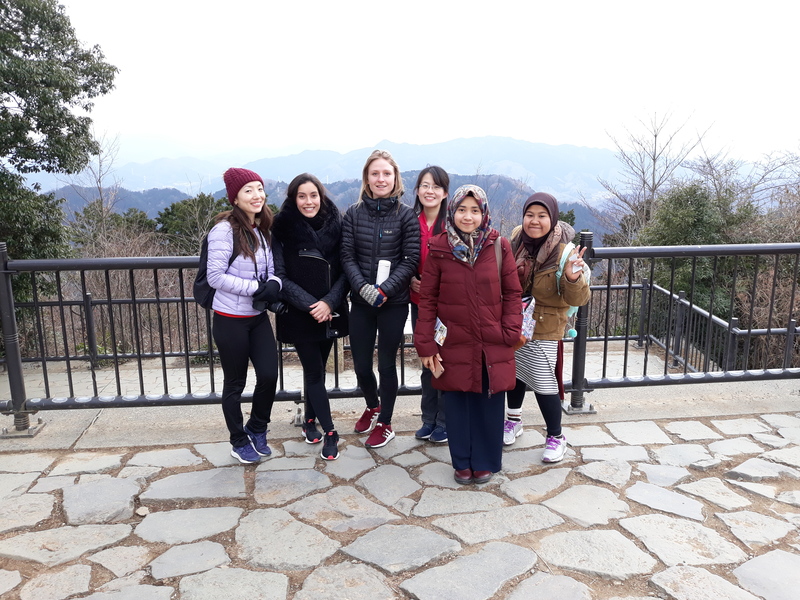 The Global Fellows Programme took place in Hachi-oji, a quiet suburb of Tokyo, and the venue was the Inter-University Seminar House, an all-inclusive facility on top of a hill. During the activities we formed teams of four, comprised of both Imperial College and Tokyo Tech PhD students. Then, we participated in team building activities before we started to work on our project to tackle poverty. During the activities we became familiar with each other and we developed strong bonds mainly because of our common interest to empower people through education. So our team was named EduPower. 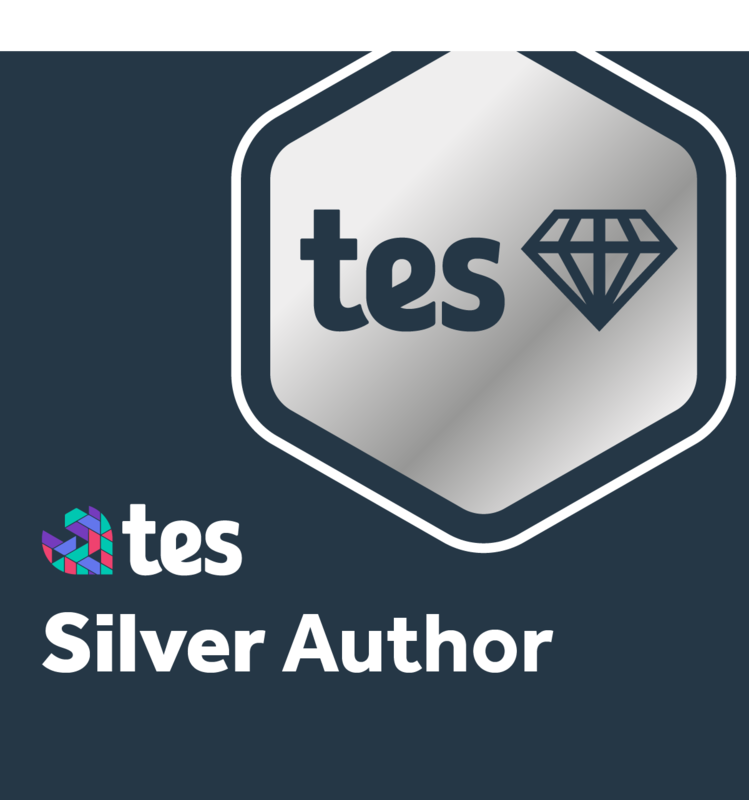 We had the most productive time working on our project, a platform for collaboration in the education sector and we took pride on the poster we prepared. The seminar culminated with an amazing farewell event at the Ishikawadai area of Tokyo Tech O-okayama campus. Following that, my research visit started at Professor Abe’s lab, or as I found out later Abe-sensei’s lab. My first impression of the people in the group was that they were very welcoming and hospitable, some of them on seeing me they greeted me in Greek which was something I least expected but was very positive. Every single one of them tried their best to make me feel comfortable, do progress in my research and feel a genuine member of the group. 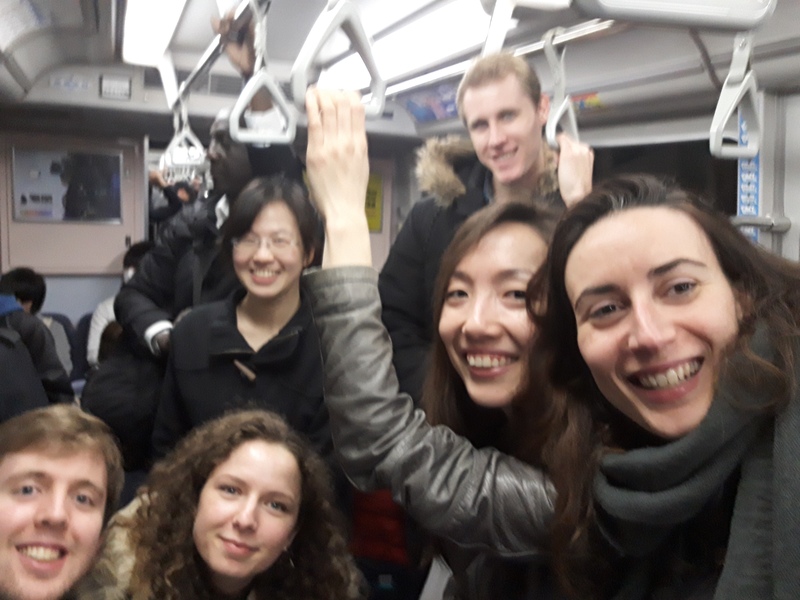 After all, the most important lesson I learnt by working in this group (and in Japan in general) is that every small or big effort a person makes should contribute to the harmony and well being of the group. Abe-sensei explained to me from the first meeting we had that he wants to support me in my research and that his approach in general is to act as a facilitator for every student who is passionate about a project and wants to work with him. Abe-sensei’s support was invaluable throughout my visit as he assisted me with arranging meetings and interviews with people involved in ESD and also with the ethics approval of my research. The support of the other members of the lab was also very important; Ms. Sakamoto helped me tremendously with booking accommodation, claiming travel expenses and printing the documents I needed. I should also mention Kokubu a recently graduated BSc student who offered to act as an interpreter during some meetings I had with ESD representatives in Japan; Ishio, (recently obtained his PhD) with whom I had very interesting conversations about education projects in Japan and of course Yushi, Hani, Vicka and Grace who have been amazing friends during my visit and willing to show me the fun part of living in Tokyo. As for the professional meetings I had with persons actively involved in ESD in Japan, I should start by saying that I am grateful to Ms. Shibao, Deputy Director of the ESD Resource Centre of Japan because she explained to me the historical evolution of ESD, the current strategies and efforts of the Japanese government together with NGOs and NPOs to upscale and strengthen ESD through active networking in the various regions and prefectures that comprise Japan. Moreover, Ms. Shibao proved to be a key person for introducing me to the vibrant network of people involved in ESD in Japan. I want to also thank her for her suggestion to refer to ESD as Transformative Education for a Sustainable Society which is what I plan to use from now on in my research and for the productive discussions we had as she helped me realise that societal progress will be achieved by accepting diversity, aligning efforts and increasing our combined positive impact. 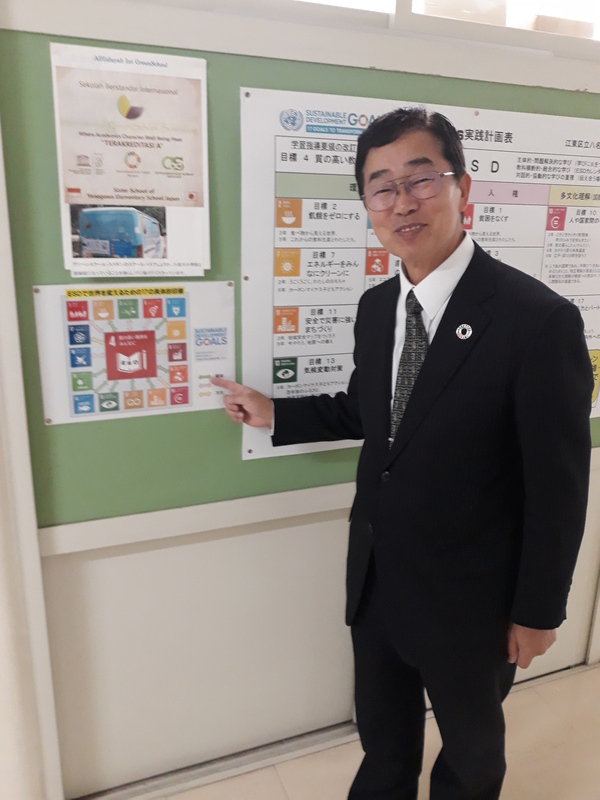 My next meeting was with Mr. Tejima, the school principal of Yanagawa elementary school, a passionate advocate of ESD with 41 years of professional experience in the field of education. The meeting took place at his office during his last day at the school, as he was retiring the next day. However, he mentioned that ESD never stops and that he would continue to contribute from the post of ESD advisor to a different region of schools in Japan. Mr. Tejima talked to me about what he thinks the primary goal of education should be. This is to educate students to act with the future in mind and build their self-esteem so that they can take their own initiatives but at the same develop emotional connection with other people. Also, he explained that his school is a UNESCO associated school and they have developed their own plan for integrating ESD into the curriculum via what they call the ESD calendar. The ESD calendar is planned and implemented by the school teachers and students by focusing on four areas (environmental education, multicultural understanding, human rights and study skills) and making interconnections with all other subjects taught in the school and putting it all together using a holistic approach during the general studies classes. By implementing this integrated approach for the past 8 years in his school Mr. Tejima saw great improvement in student performance, because as he said «students value education a lot more because they have a deeper understanding of the connections between the subjects, also students have developed their interpersonal skills and the school environment has become more peaceful, supportive and collaborative». He also saw great improvement in teachers’ behaviour and teaching as they focus more on student learning and they encourage students to form their own questions and search for their answers to those questions. Parents have become a more active part of the school community and the school functions as a big hub of interconnected actors. Mr. Tejima also expressed his concern about the SGDs as he believes in a holistic and integrated approach to education and to addressing sustainability challenges. Thus, he thinks that 17 goals may divide attention and weaken understanding of the problems, but nevertheless, education should be at the heart of all SDGs. Abe-sensei organised a meeting at the National Institute for Environmental Studies (NIES) in the suburb of Tsukuba. 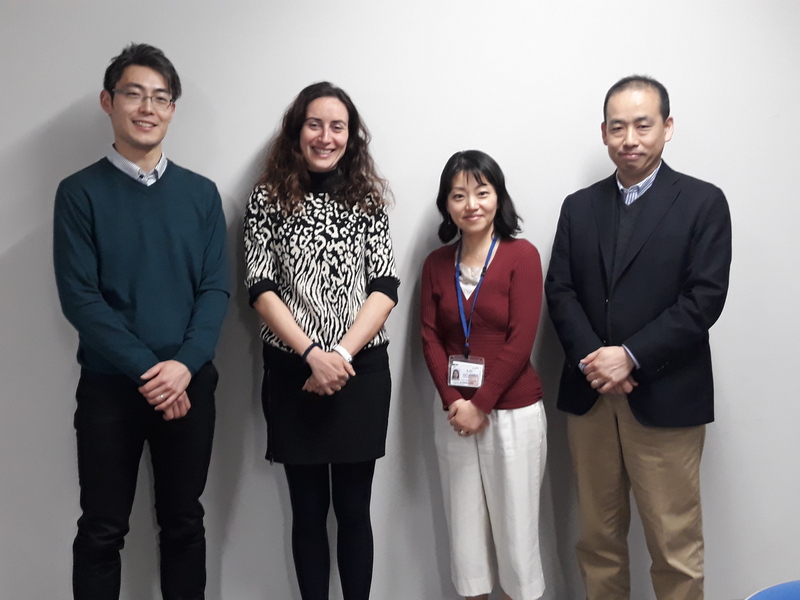 During this meeting I had the opportunity to discuss with Ms. Tomoko a researcher doing research on ESD and looking at the transition from encouraging individual behavioural change to encouraging collaborative behavioural change to students in order to achieve a sustainable society. She managed to build a model using data from previous non-formal education projects and then tested the model with a bigger sample of participants to identify the psychological factors that affect collaborative collective behaviour. 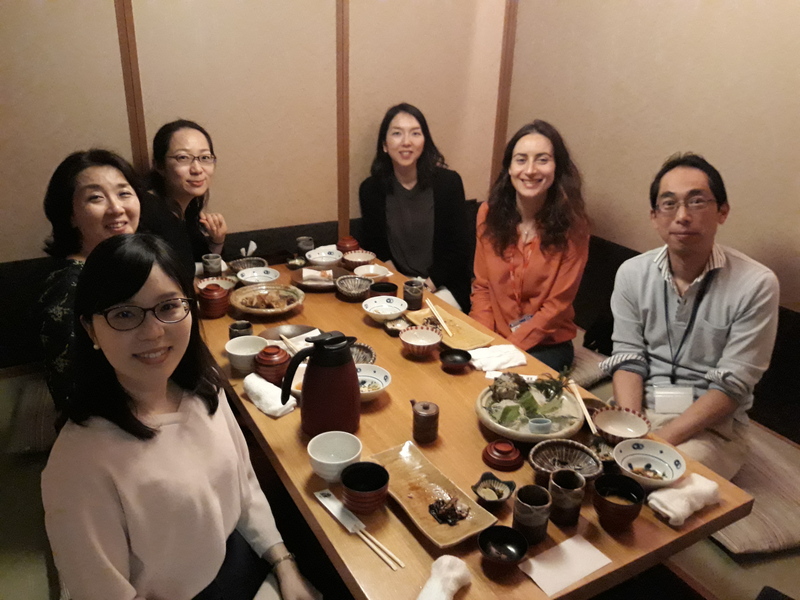 Mr. Tajima also a researcher at NIES talked to us about the impact of the ageing Japanese Society on the waste management system as the composition of waste and the behaviour of people will also change. I would like to thank them both for the tour they gave me in the labs and research facilities of their department. My next meeting was with Professor Kobayashi of Tamagawa University, which is a UNESCO-associated university. My discussion with him enabled me to realise how teacher training about ESD is delivered in Japan by ASPUnivNET. Their focus is on interdisciplinary training, fostering collaborations between different levels of schools and universities, each year choosing a different subject to address that involves different teaching approaches and competences to develop. Then the trainee teachers produce their own teaching plans, they present them to the other teachers and evaluate each other’s plan and discuss on improvement actions. Also Professor Kobayashi commented that most of the students of ASPNET schools choose to become teachers later in life and he presumes that this is because they value education and are highly motivated to change the world by education. 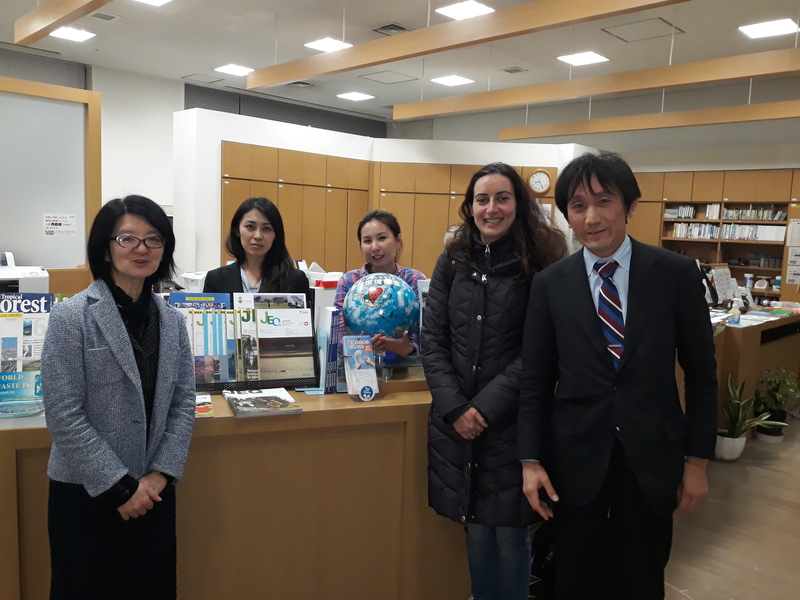 Professor Kobayashi kindly offered to facilitate the discussion with Ms. Oyama of the Global Environment Outreach Centre of Japan. With Ms. Oyama we discussed about the model programmes guide in ESD and the reorientation of the National Curriculum (Course of study) towards ESD. Actually the Course of Study was revised two years ago to include as one of its overarching goals the provision of education to students to enable them to construct a sustainable society. The model programmes guide refers to best practice projects from an ESD perspective and was jointly developed by the Ministry of Education and the Ministry of Environment to provide the framework that will help teachers and students implement meaningful ESD and develop important skills and attitudes for the sustainability transition. My next meeting was with Dr. Vaughter a research fellow at the United Nations University (UNU). We discussed about the focus of Japanese Higher Education (HE) on “greening” operations and infrastructure rather than curricula. As Universities want to produce competitive graduates for the world market, they focus more on natural sciences and technology skills than sustainability competencies and holistic approaches to education. His view is that ESD is more integrated in the primary and secondary education sector in Japan and more fragmented in HE. He is involved in capacity-building workshops for sustainable communities as he is interested in the effects of social pressure on behavioural change in adults. 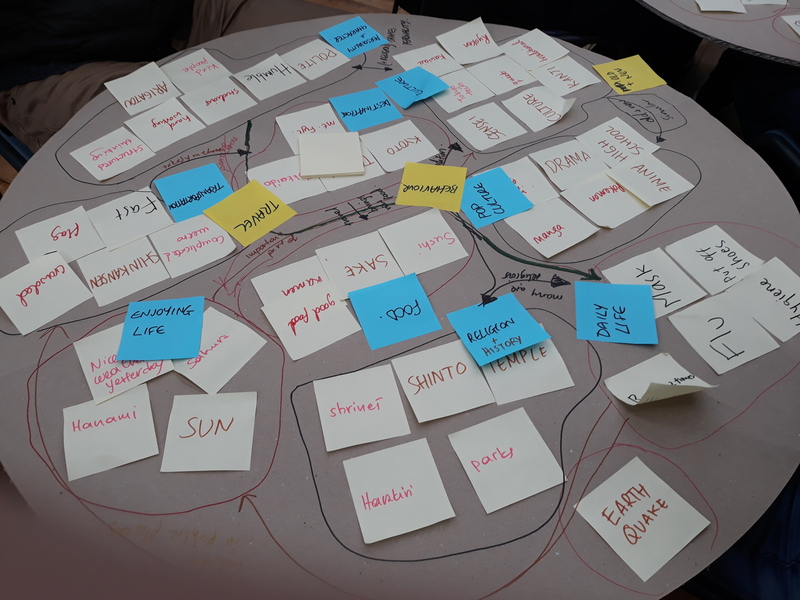 UNU is explicitly transdisciplinary as experts from three disciplines (social, environmental and economic) design and run the courses and also supervise postgraduate theses. My last meeting was with Ms. Shindo and Ms. Fujimoto from the Asia-Pacific Cultural Centre for UNESCO (ACCU) who are actively involved in many domestic and international ESD projects, are key partners in GAP priority area 2: Transforming educational environments and provide teacher training in ESD. They coordinate the Sustainable Schools project in Japan and they provide guidelines on how to implement the whole-school approach focusing on 4 crucial areas, which are School Governance, Teaching and Learning, Communities and Partnerships and Facilities and Operations. They also coordinate SMILE ASIA, a model project for literacy in women and Youth-led Sustainability Community projects. 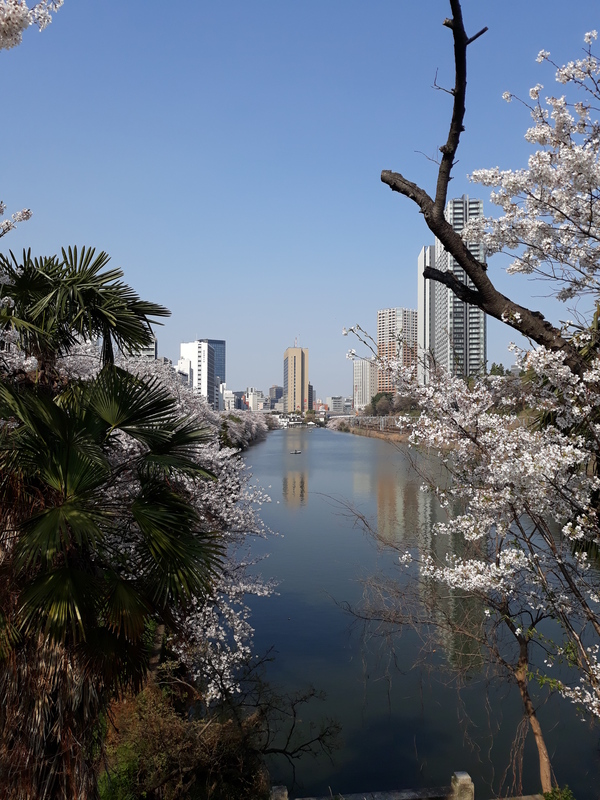 Finally, I had some interviews with undergraduate and postgraduate students at Tokyo Tech as well as with some Professors regarding my research on Sustainability integration in the HE curriculum. I am currently analysing the results and will be sharing them shortly. I would like to thank all the people in Japan and in the UK who made my visit a very special one! It has been an unforgettable experience and an amazing journey!